Identifying the onset of sickness in a tree will help you to prevent it from getting worse. However, most homeowners have a very poor idea of what to look for when checking for sickness in trees. Being diligent in checking to condition of your trees and learning the signs of a sick, diseased, or dying tree will help you to extend the life of your trees or remove a tree before it can cause damage or injury. Nevada Tree Service in Henderson, Nevada has extensive knowledge and experience in dealing with sick trees. Our team is prepared to identify a sick or dying tree and then provide you with affordable solutions to take care of it. In this post, we will look at four ways you can tell when a tree is sick providing you with a basic idea of what condition your trees are in. The condition of the tree bark can provide clear signs of the health of the tree and it is typically easy to notice any unhealthy signs. Take the time to carefully check the bark of the tree for fungus, spots that look damaged, cracks, or flaky brittle sections Fungus and carved out spots can be an indication of rot, while cracks canindicate a weakened and unstable tree. Healthy bark will usually feel pliable and soft, having almost the same coverage on the surface of the trunk. In contrast, you can easily identify a sick tree by inspecting whether the bark is flaky or brittle. The roots provide another telltale sign of possible disease in a tree. If visible, inspect the tree’s rootschecking specifically to see if they are waterlogged, soggy or show signs of fungus growth. You may also be able to tell if a tree’s roots are damaged if the tree is noticeably slanted. Checking the twigs and branches of your tree can also provide you with a clear sign of possible sickness. Are there bare branches, dead branches, or branches with dead leaves? This is a sure sign of a tree that is sick or diseased. You can also try breaking a twig off from a branch and then opening in to check the color of the inside. A bright green color indicates a healthy tree, while dull green color is a sign of a tree that is alive, but aging. However, if the inside of the twig is black or brown, it clearly indicates a dead branch. If you begin to notice that the leaves of the tree are dropping excessively, it should also be taken as a warning sign of sickness. Watch for trees that start losing leaves during summer or spring. You can also tell if a tree is sick if it has leaves that remain attached to the branches, but have shriveled in size or have become discolored. 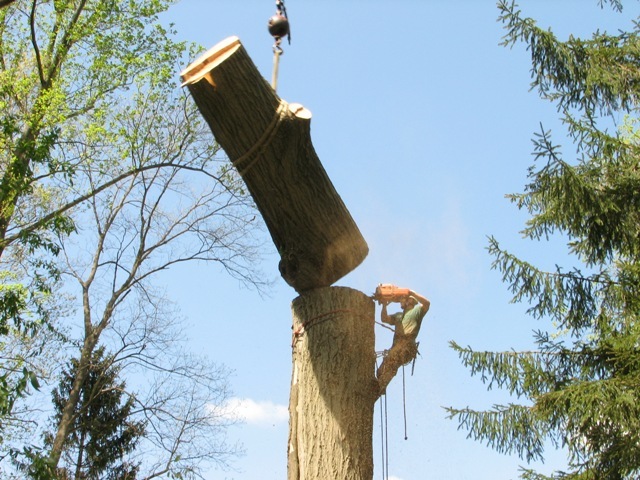 Nevada Tree Service offers comprehensive tree service and tree care that can identify the health of a tree and then provide you the options needed to treat the tree if possible or remove the tree if needed. We also offer tree disease prevention to help ensure the health of any tree on your property. Call us today at (702) 433-4700 for a free estimate or to schedule an appointment. Pest infestations, if left untreated, can cause serious damage to trees, plants and shrubs. Recognizing a potential pest problem early on will prevent extensive and irreversible damages. Nevada Tree Service has the expertise needed to quickly identify and treat pests that most commonly affect trees in the Las Vegas Valley. If you have questions regarding pest infestations call our professional tree care services, and we will help you diagnose and treat the problem. Aphids are tiny insects that feed off trees and new plant growth. Aphids come in a variety of colors and vary in size. They feed in clusters by sucking sap from the tree, secreting a sticky fluid in the process causing leaves to curl..Aphids breed quickly and will continue to feed on a tree until they have killed the plant before moving on to the next. If you notice the leaves of your Las Vegas trees curling inward or notice a cluster of small lice-like insects, chances are high that your tree has an aphid infestation. Other signs of an aphid problem include sticky sap like fluid on leaves and surrounding areas of the tree. Spider mites are tiny arachnids that feed off sap from the bottom of tree leaves. Spider mites are difficult to see with extremely high reproduction rates, often enabling infestations to quickly spread.Spider mites cause leaves to appear yellowed with a silk-like webbed substance between them. Spider mites are extremely active during summers and thrive in dry dusty conditions. If you suspect a spider infestation on one or more of your Las Vegas valley trees, call us at Nevada Tree Service for comprehensive tree care services. Many different species of beetles are considered a threat to trees with each species attacking trees in individual ways. 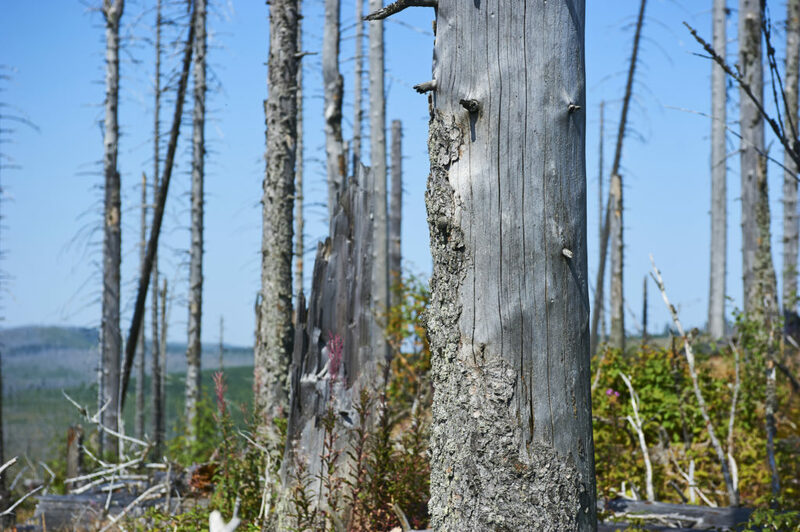 Tree-killing beetles bore into bark, tree limbs and even into roots, laying eggs under the bark causing a range of damage and even death of the tree. Nevada Tree Service can provide a crucial tree care plans that will help keep your tree healthy by removing and destroying infested branches. Tree borers lay eggs within a tree that then chew through the bark and roots, weakening trees by disrupting the proper transfer of water and essential nutrients. After some time, the chewed areas will girdle or break off. Borer infestations can be identified by tiny holes throughout trunks, branches and stems from which sawdust-like particles come out. Borers are best prevented through routine tree service provided from experienced professionals. If you suspect your trees are suffering from a pest infestation, contact us at Nevada Tree Service. Our team of tree experts can accurately assess the condition of your Las Vegas trees and take the necessary steps to treat and restore. Call us at (702) 433-4700 before pest infestations cause lasting damage.